SPOKANE, WASH. -- A supporter of keeping four giant dams on the lower Snake River calls it "ironic" that dozens of fishing companies and environmental groups are asking President Donald Trump to take a fresh look at removing the dams to help restore wild salmon runs. 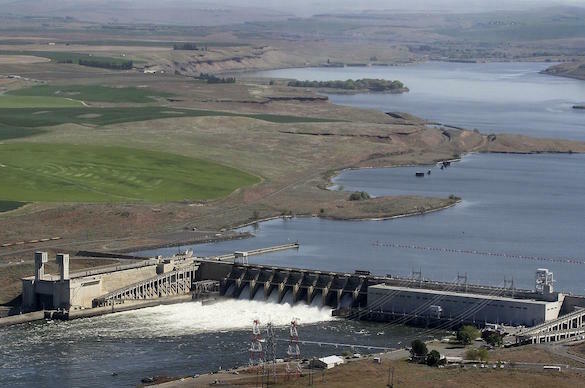 Terry Flores, executive director of Northwest RiverPartners, said even if the dams were removed it would take decades to double salmon returns. Flores says it would be more productive to reduce commercial fishing for salmon and steelhead. Flores also said that the Trump administration has said it wants to improve the nation's infrastructure, making dam removal unlikely. About 50 fishing and conservation groups sent a letter to the White House earlier this week calling for a new look at removing the dams.